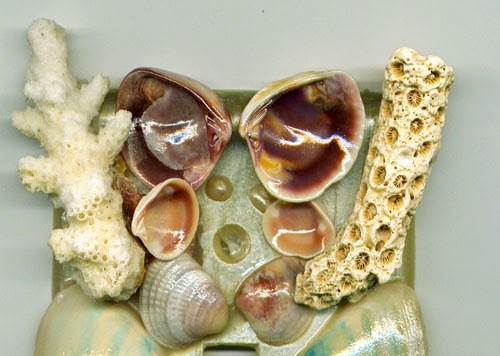 Oh well but I have gone in the past and collected these wonderful shells from Florida. 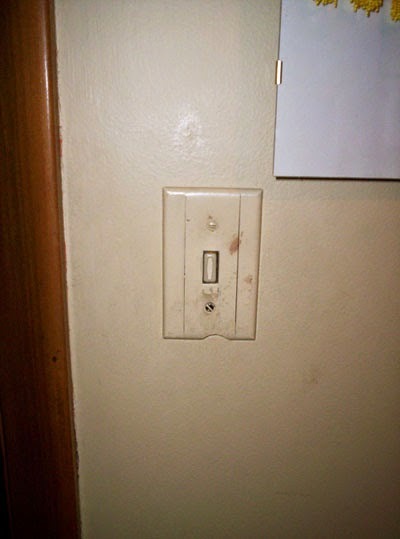 Anyhow I had this really boring and ugly old light switch face plate I had to look at every day for several years now and I finally had it. Since I always wanted a tropical themed design for my house but currently can't, :( I decided to at least add my personal touch to at least my personal space. The bed room. 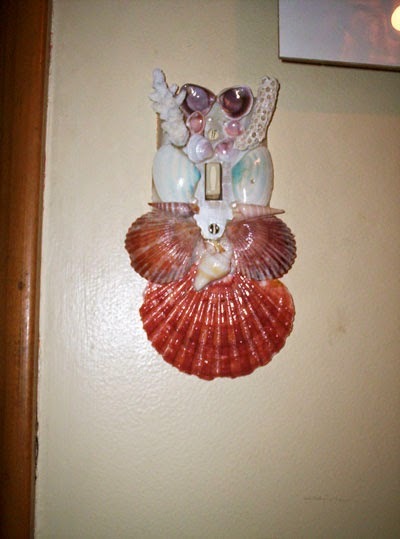 I took one brand new plain Jane light switch face plate and I first painted it with a special acrylic that simulated the inside of a shell. 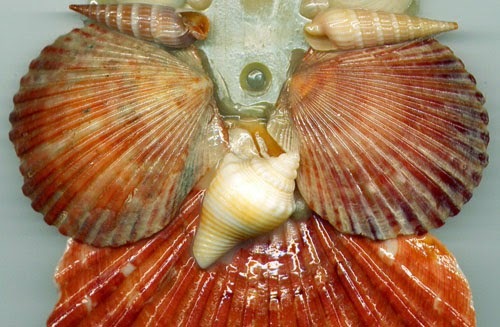 A sort of a pearly white look. 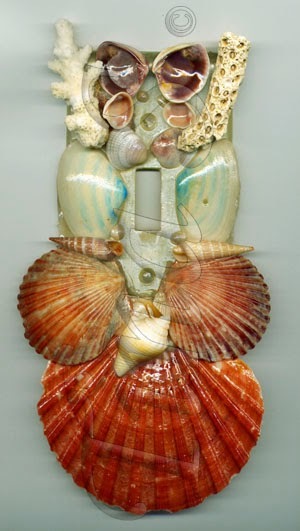 I then glued an assortment of shells and arranged it in a certain pleasing way. Then finally clear-coated it with an acrylic gloss and for the finishing touches added some simulated pearls. Now I have something to switch on with a bit of class.